Doppelganger Horror: A Brief Film History | Birth.Movies.Death. Us hits theaters this weekend. Get your tickets here! Jordan Peele's upcoming sophomore effort Us, which blew up SXSW last week, follows a nuclear family that meets their own sinister doubles and it has us all hyped for a subgenre we didn't realize we were hankering for. Originating from the German word for "double goer", doppelganger horror is distinguishable from run-of-the-mill ghost stories in that it features a flesh-and-blood facsimile of a living person; a body and/or spirit double. It's been a mainstay or Germanic folklore for ages, and meeting your own doppelganger is said to mean that your days are numbered. Peele himself has credited the Twilight Zone series' doppelganger-centric episode "Mirror Image" as partial inspiration for Us, but there are plenty of feature-length films that tell a similar story. Doubles have long been heavies in film. They're centered often in sci-fi narratives like Moon, Primer, and Solaris, and Brian De Palma has made his bread and butter with carbon-copied protagonists (even Mission:Impossible has a twin trope). But doppelgangers have also found a welcome place in horror. There's something cosmically freaky about seeing yourself from an external standpoint. Most films lean into the motif the way that old-school Gothic literature has, by using pairings as a manifestation of either fears and anxieties. or as an externalization of repressed (usually horny) parts of the subconscious. Most of the early depictions of doppelganger horror in cinema have been Jekyll and Hyde narratives. In 1920, F.W. Murnau's lost silent film Der Janus Kopf came out as an unauthorized adaptation of Robert Louis Stevenson's classic novella, the same year that Paramount made Dr. Jekyll and Mr. Hyde, an official adaptation of the same work. Though its place in the horror genre is debatable, when you think of Fritz Lang's Metropolis, you think of the iconic image of that femme-bot, which is a robotic double of the lovely damsel Maria. 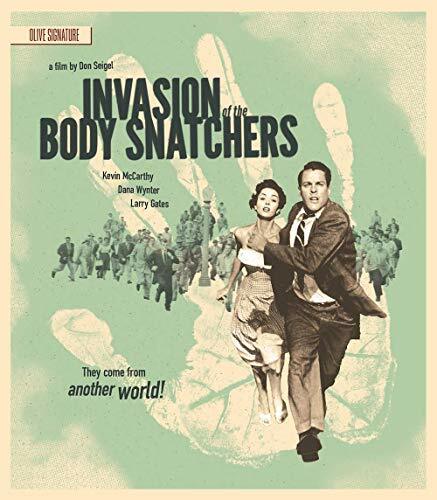 By the time we get to the Atomic Age of cinema, sci-fi took the doppelganger to dizzying heights with the original Invasion of the Body Snatchers and I Married A Monster From Outer Space. Both films and the slew of imitators that they inspired had less to say about the tamping down of our darkest impulses, opting to comment on the disappearance of identity in the era of McCarthyism when paranoia ran rampant and people were snitching left and right. The expansion of thematic doppelganger appropriation in genre films continued throughout the '60s and '70s, with horror joints occasionally achieving mainstream success. In 1970, Roger Moore starred in The Man Who Haunted Himself, a Jekyll-and-Hyde narrative that could be considered a progenitor of the "Is that my double or am I losing it?" strain of doppelganger thrill fests. Based upon Ira Levin's novel, The Stepford Wives spoke on the changing role of liberated women in the domestic space, with housewives slowly being replaced by perky-breasted, more submissive versions of themselves. The loss-of-self train rolled on a year later with Polanski's The Tenant in 1976, with a claustrophobic setting thrown in to suggest that cabin fever might be the culprit instead of a Kafka-like transformation into another form entirely. Finally, a 1978 remake of Invasion of the Body Snatchers leaned back into national paranoia and its final moments gave us a perfect gif to use when someone disagrees with the hive mind. The subgenre continued to enjoy features that played with sinister pairs in the '80s. Andrzej Żuławski captured the breakdown of marital bliss in his 1981 horror Possession, in which Isabelle Adjani and Sam Neill get a divorce but also - imitation creatures. Just one year later, in one of the greatest years for the entire horror genre, John Carpenter busted the doors wide open with his box-office flop The Thing, which starts with a dog running through the snow and ends with everybody dead, about to die, or assimilated. The '90s...the '90s got weird with it. David Lynch got a hold of the doubles trope and made Lost Highway and Mulholland Drive. What's striking about these two films is that they don't just use doppelganger characters, but they both employ a narrative switcheroo and treat space and time as infinitely malleable. It's hard to elaborate on that without diving fully into plots because - Lynch. But if you're looking to move beyond The Thing and Body Snatchers and you don't mind having to think about what you're seeing, then Lynch is your man. 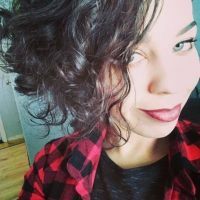 These days, movies that make use of the spirit double as an externalization of subconscious desires are less like twinsies and more like a split personality. Black Swan is one of the best-known films in that realm, which follows a prima ballerina going for the gold and doing whatever it takes in the pursuit of perfection. The surrealist horror-adjacent thriller Enemy is an artsier entry in the subgenre, which has a motorcycle-riding Jake Gyllenhaal creeping out a wimpy Jake Gyllenhaal. Also adjacent is It Follows, which is not a doppelganger horror movie at all but uses doubles in horrific ways. In David Robert Mitchell's 2014 film, Jay (Maika Monroe) is dealing with a sexually transmitted curse that takes on a mute, shape-shifting, ever-pursuant form. Among its shapes are doppelgangers of loved ones. There's something innately mystifying and terrifying about uncanny twin narratives, whether they be a split version of one person, an incremental takeover of the body and mind, or actual doubles in the flesh. Us looks to be the latter, and if it's anything like its predecessors, it'll make us all look in the mirror twice.